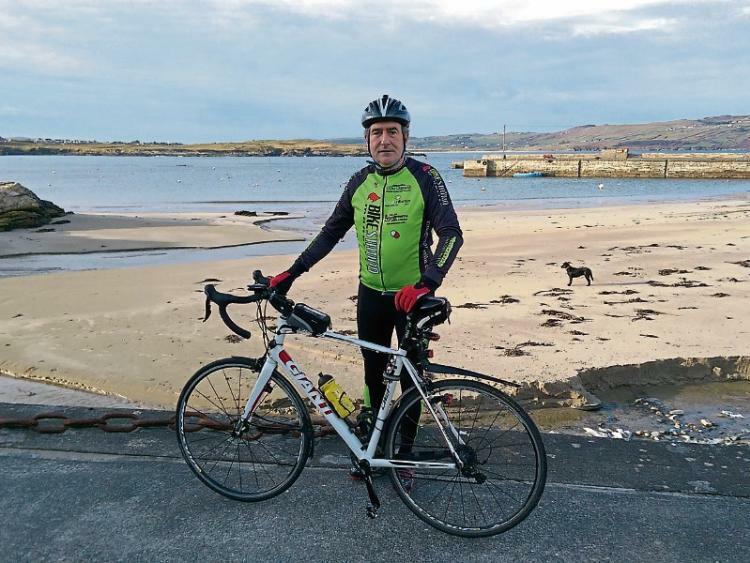 After being diagnosed with Parkinson’s disease, Portnablagh resident, Barry McEntee, faced two choices: accept it and carry on as normal or get on his bike to look for a way to manage his illness. Luckily for Barry, a Monaghan native, it was an actual bike that has played a role in helping him stay fit and active despite his diagnosis. Over the last three years, the 58-year-old father of two has taken to cycling on a daily basis and claims this has played an important role in managing his health since then. This week is National Parkinson’s Awareness Week and Barry is sharing his story to highlight the benefits regular exercise can have in helping manage the symptoms. He was first diagnosed when he was 54 years old. He initially suffered depression symptoms and developed a tremor in his hand. Shortly after collapsing at home he was taken to Galway for a DAT scan, after which he was told he had Parkinson’s. At the time of the revelation he began running and eating healthier in an effort to help deal with the developing symptoms. But as this became more difficult, he turned his attention to cycling and now he can rack up hundreds of miles per week. “If you keep the brain right, the body will follow,” Barry told the Donegal Democrat. “I have Parkinson's and the diagnoses came just over four years ago. But I haven’t had a bout of depression or anxiety since. I decided at the time that I had two options, one being to simply accept it and try and get on with my life, or take this thing on and see if I can keep it at bay. So I went for the latter. I cycle nearly every day, both road and mountain bike. I am a member of the Errigal Cycling Club and I also mountain bike. The cycling has really been a Godsend to me because it makes you concentrate on what you are doing but you are also active, particularly when you start moving at speed. You get focused and it really helps your mind and the physical aspect of it is also terrific,” he explained.